Mr Grozbean is exceptionally knowledgeable and talented in all the legal aspects of my child support case. Mr Grozbean together with his staff discussed with me the best course of action and the possible outcomes. He was calm and empathetic yet very quick and aggressive and asked the right questions throughout my trial hearing. He is very professional, was always available and I never felt rushed. I will definitely recommend him. Stuart represented me in a recent divorce case and did an AMAZING job. He is knowledgeable, well prepared, and his staff was always courteous and available to answer any questions I had. Stu replied to my emails and phone calls amazingly fast, all the time. Stu also has a great sense of humor, and truly loves his work. Hopefully I won’t get divorced again, but if I do, I’ll call Stu! I genuinely felt that Stu always had my best interest in mind, and that I had the superior lawyer every step of the way, which is a wonderful feeling. Over the past several months, i have consulted with Stu(both phone and in-office) at least a handful of times, and he has graciously taken my call every time. Stu knows the law, he understands people, and his confidence is completely reassuring. He alwayes returned my call within no more than a few hours and provided thorough information related to my case each time. Great person, great lawyer, and great experience! Stuart represented me in a recent case and did an outstanding job. He is knowledgeable, well prepared, and his staff was always courteous and available to answer any questions I had. I highly recommend Stuart Grozbean to anyone in need of legal representation. He's simply the best! I was involved in litigation with a neighbor which had become quite acrimonious. Being a lawyer myself, I handled the initial pleadings, however, as the case dragged on, it became apparent that it would be more appropriate for me to obtain counsel. Of course, having practiced law for 37+ years, I had come in contact with top attorneys throughout Maryland. However, after comparing my options, there was only one choice: Stuart Grozbean. Stuart knew the judge, and, more importantly, the judge knew and respected Stuart. One of the judge's first comments at the hearing was to express how pleased she was that Mr. Grozbean had entered his appearance. Using his creativity and his mastery of the relevant law, Stuart was able to break the impasse which had developed, and ultimately obtained an outcome that I am 100% pleased with. I highly recommend Stuart Grozbean to anyone in need of a first-rate attorney. Stuart Grozbean is the attorney other attorneys turn to in their time of need. Stu and his co workers are superheroes. Stu is a very professional attorney only one of a kind, knowledgeable, unique, fiersful, with a great sense of humor. I hired him several times and he is a real treasure. Thank you, Mr. Grozbean! I can't say enough good things about Stuart Grozbean and his staff. He is a gentleman and master of his craft. He helped me thru a case involving my ex-wife and resulted in a judgement in my behalf. He is tactful and will absolutely not give you any smoke and mirrors - he assess the situation from every possible angle. When mediation failed in my case, Stuart fought tooth and nail and was absolutely amazing in my case. I could not be happier with the outcome of my case and would recommend Stuart to anyone without question. If you want the best, hire Stuart Grozbean. I also want to mention and compliment his staff whom I interacted with during my case - Jamie Maier and Charlotte Shiffrin. Charlotte is one of the most pleasant people I've ever met and Jamie was absolutely terrific in communicating with me and assisting Stuart in my case. I do not think you can get any better than Mr. Stuart H. Grozbean. I learned so much from him. I came to Stu with what seemed to be a simple open and close divorce case. However, the other party decided to get dirty along the process. Yet under the direction and advice from Stu, I prevailed. Stu always had predictions of what events would occur next and all predictions actually came to fruition. At that point, I wasn't sure if I hired a great attorney or a palm reader. In light of those events, a sense of coolness and wisdom eradiated from Stu the moment I saw him in action. I knew then that this is one of the best attorney's in the area and I was so grateful that I made a decision to choose him. He is very strong, ethical, organized, responsive, calm, and direct. He was always available whenever I had a question. I would recommend him to anyone who has either a simple or complicated case. I am aware that so many attorneys promote "aggressive attorney" on their websites to be competitive. I was looking for someone better. Someone that is a great "all-in-one" negotiator/litigator and knows court room politics. Thanks for bringing my life back. I hired Stuart Grozbean and his firm to help me in a very difficult family law case. Stuart is an extremely knowledgeable, sensitive, and talented attorney and I knew that I was in good hands from the very first meeting. Stuart was sensitive to my economic needs and had his outstanding associate, Chris Castellano, handle much of my case with his oversight. In the highly emotional and complex world of family law, there is no better attorney than Stu Grozbean. He is a gentleman and an artful master of his craft. He won't waste your time and he is a straight shooter. His courtroom presence clearly shows how much judges respect him and opposing counsel is often intimidated by him. He is able to disarm opponents that attempt to overload and confuse judges with intentionally erroneous information. You can't do better than Stu! I consulted with Stuart for procedural advice in a very contested custody battle with my ex-wife. The issues were long standing as we had been divorced for many years and she would file for a new custody arrangement almost every year. Stuart came highly recommended for his knowledge in such cases and greatly helped me. Without his aide and in depth knowledge of the court system, I would have been completely lost. He took great care and time to answer questions. He was extremely prompt in returning phone calls and emails, sometimes even after hours. I highly recommend Stuart for any issues you may have in Family court matters. Stuart is an exceptional legal advocate. 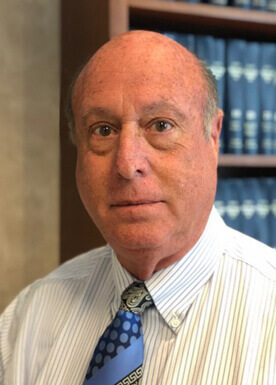 He has the ability to engender a sense of reassurance and calm confidence for clients who might be experiencing extreme personal distress while facing life altering legal challenges. Stuart demonstrates a creative, quick thinking, and very knowledgeable legal mind, which in itself is sufficient for more than competent legal representation. However Stuart’s counsel goes well beyond to genuine personal advocacy. He takes the time to understand his client’s personal circumstances and needs, and by so doing he is able to stand as a true legal champion for them. I am extremely satisfied with my choice of Stuart Grozbean as my legal counsel and advocate. Stuart's the BEST! As is the entire firm. Stuart, in contrast to so many other lawyers out there, is a "people person" - a lawyer who cares about his clients, cares about people generally, and genuinely derives satisfaction by being able to help others suffering through circumstances of distress or personal crisis such as divorce. By combining this priority with excellent legal knowledge and acumen, Stuart provides, in my opinion, the highest quality representation you will find. He is sharp, thinks creatively ("outside the box") where appropriate, is generous with his time during consultations, and, perhaps most importantly, has a calming effect. After speaking with Stuart at some length and discussing my problems, I felt substantially more at ease and more assured of myself, and of what steps I needed to be taking going forward. I arrived at his office in a state of anxiety and departed in a state of peace. I could not be happier with my choice of counsel or law firm and I would highly recommend Stuart and his staff to anyone contemplating or working their way through circumstances of a divorce. Simply the best! How does one even begin to write a review for Stuart, the person who has been there for me in EVERY way throughout one of the most challenging experiences of your life? I did my research online to find Stuart. From the first phonecall he promptly made to respond to my voicemail, I knew I would wait for him until his schedule cleared enough to be able to represent me. At the first meeting, I knew without any doubt, I had made the right choice. Very responsive including apparently all hours through the night and consistently great experience and advice. Stuart Grozbean is an amazing lawyer. I have hired him for both personal and business matters. His response time is typically less than one (1) hour regardless of the time of day. His guidance has always been spot-on. He has worked with me on several matters to develop unique , strategic and effective solutions to different problems in different arenas. He knows when to push and when to lay back to achieve the optimum outcome. Highly Recommend.